Chef Bernadette will do dinner for 4 or more people (with ample notice) She is already quite booked for the summer, so if you are interested, we suggest you let us know ASAP. Even if there are only 2 of you – there may be other folks having dinner with her, so feel free to call and ask! 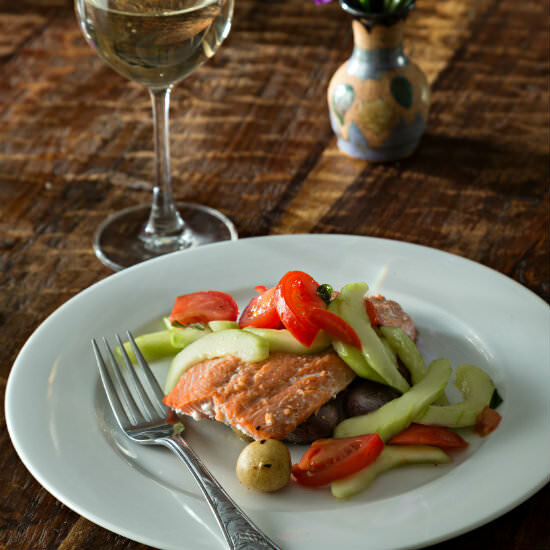 Chef Bernadette has been catering locally for over 20 years and has owned her own restaurant! Cost for dinner with Chef Bernadette is $45 per person (plus gratuity) for a four course dinner, and can be paid in cash or credit card. If you are interested in booking dinner with her, please let us know and we will check with her regarding availability. Dinner is BYOB – beer, wine, soda – whatever you’d like! Neither Bernadette or the Lodge provide dinner beverages. 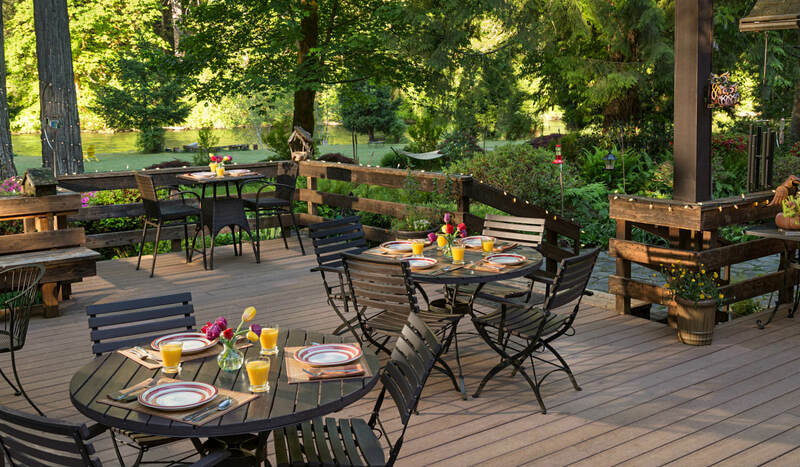 We have a grill on the back porch of the lodge – it is available (first come/first served) for guests to use. We supply the fuel – you supply the rest! 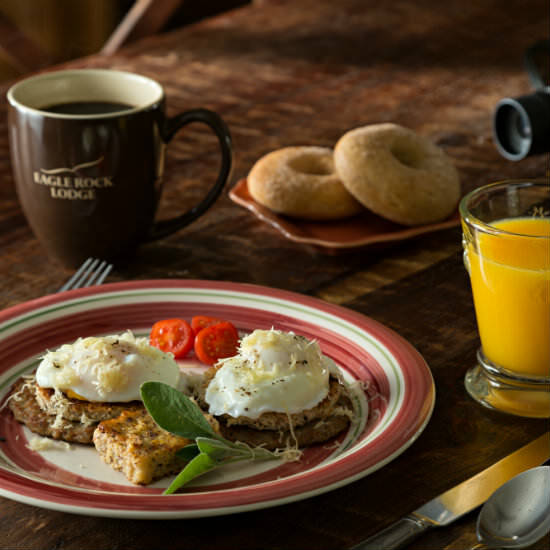 Wake up to the smell of Oregon Coffee Roaster’s Italian Roast brewing in the main Lodge. Your cooked to order breakfast starts with fresh fruit, homemade granola (gluten free! ), fruit juice and one of Eagle Rock Lodge Innkeeper Nancy’s baked specialties. This is followed by your choice of entrees from our menu including: Marion Berry French Toast, Green Eggs and Ham, Pig and Cluck (2 pigs in a blanket along with eggs any way you like them), Tofu Scramble, Homemade Waffle, Robert’s Famous Poached Egg stackers and Eggs “your way” served with Bacon, sausage patty, vegetarian sausage or local link sausage. If you have special food requirements, pleases notify us at least a week ahead of time so we can meet your needs.